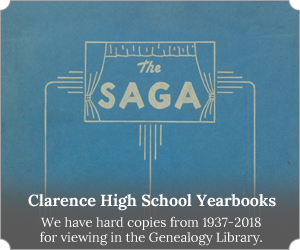 The Historical Society of the Town of Clarence cares for the Clarence Historical Museum and the Gerber Greatbatch Genealogy Library. In addition, the society hosts regular scheduled programs at the historic Automobile Club of Buffalo, now known as the Clarence Town Park Clubhouse. Our members are protectors and preservationists, people who care about the Town of Clarence and its heritage. Join us! Throughout the year we have educational programs of historic significance. The Historical Society appreciates the financial donations received from individuals and companies. Your contribution will support programs and offset the necessary funds for the maintenance and operations. Our members are protectors and preservationists, people who care about the Town of Clarence and its heritage. 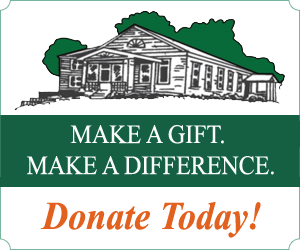 By becoming a member, you will join in preserving the historic character of Clarence. Established in 1954, the mission of the Historical Society is to preserve and share the history and heritage of the Town of Clarence, respecting our past and striving into the future. We welcome you to visit us!